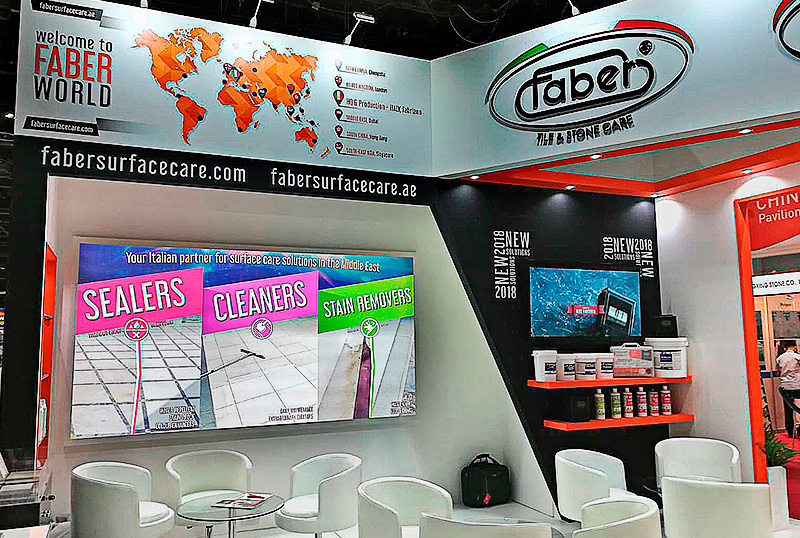 Faber took part this year too the Middle East Stone Exhibition, that was hosted in the World Trade Centre in Dubai, from 04th to 06th of September. Middle East Stone is the most important Exhibition of the Middle East Area dedicated to the world of natural stones, which at each edition records an increasing number of exhibitors and visitors. Faber showed its solutions to protect, polish, clean and maintain every kind of natural stone and ceramic tile surface.